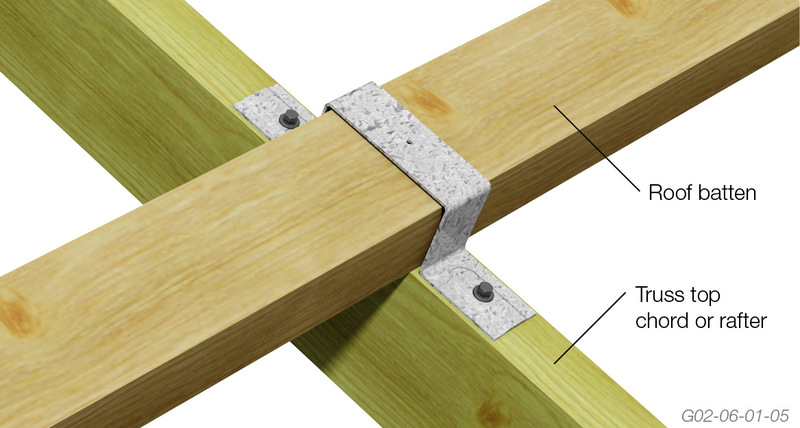 Tying down 70mm x 45mm roof battens to rafters or truss top chords in high winds areas. 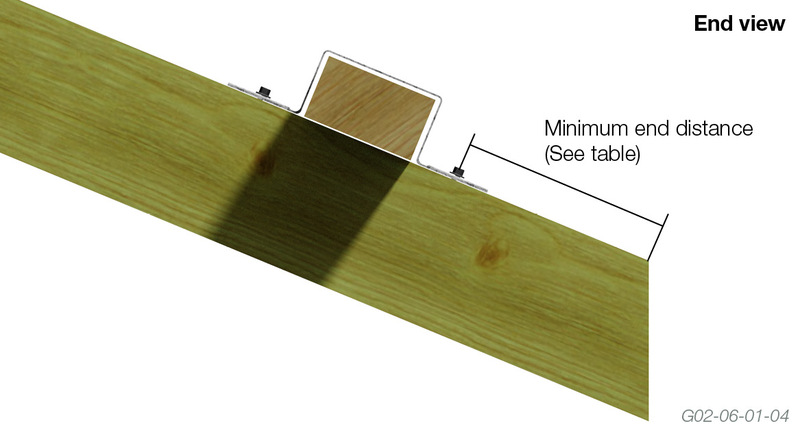 The above table uses withdraw capacities from AS 1720.1 - Timber Structures. 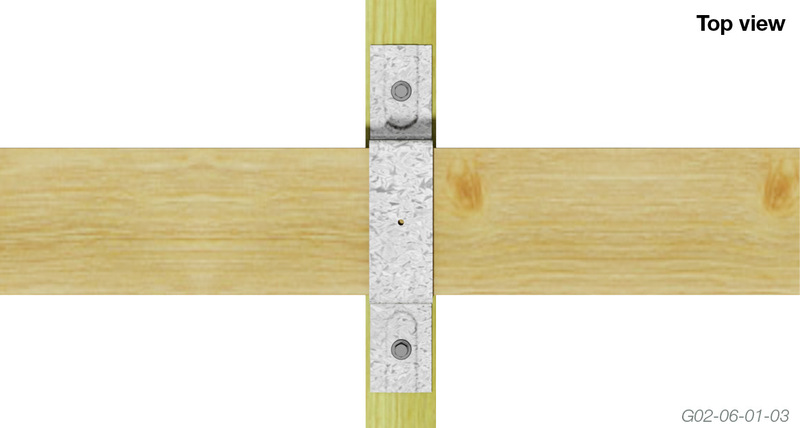 Nail fix each batten to rafter with minimum 2/75mm x 3.05Ø Multinail nails. 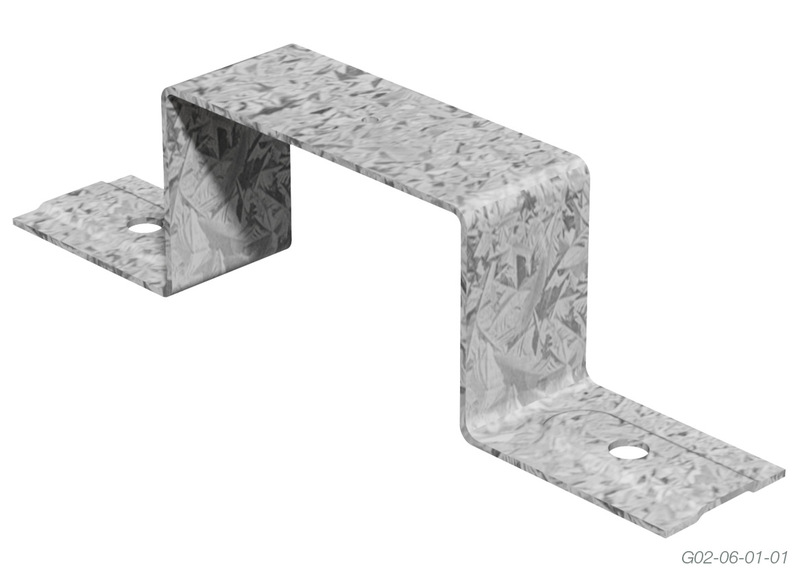 Fix each side of bracket with one Type 17 screw as noted above. 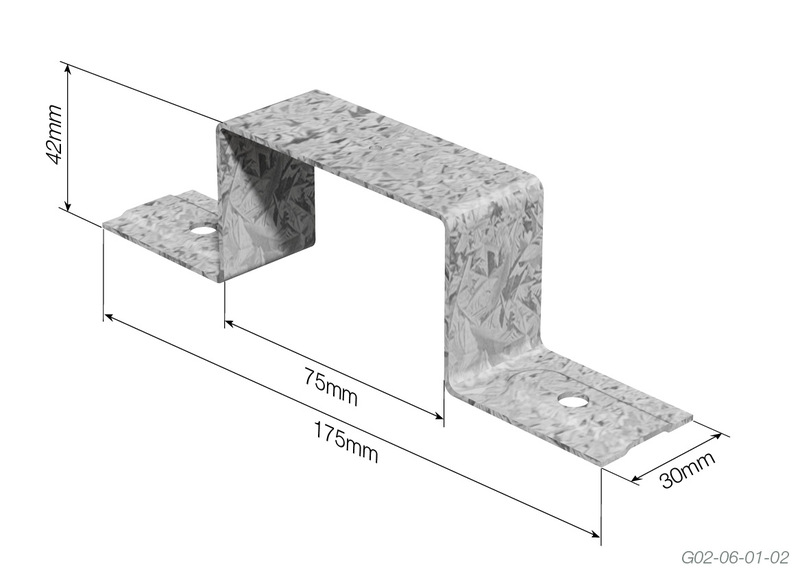 Screws are Type 17, 50mm long galvanised batten screws.